I want, I want, I want. I saved the best for last because um, well just because. 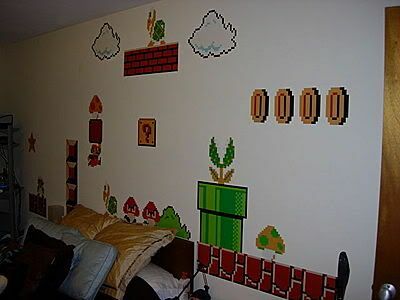 I would love to have these restickable wall stickers for myself sometime. 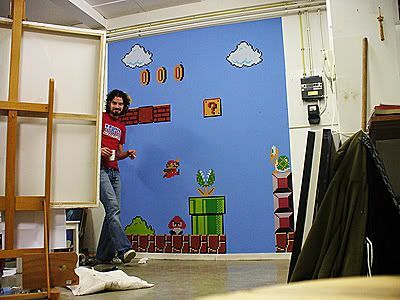 I'm thinking maybe for an office? 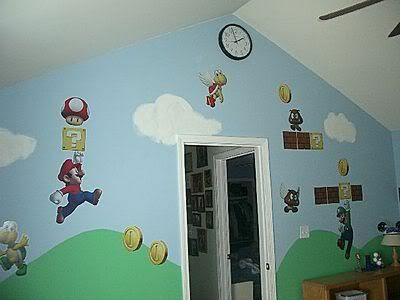 Or a kids' play room? 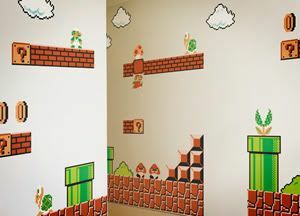 There's a gallery of photos on Think Geek (where you can buy them) and someone even used them in a bathroom. Another has them in a doctor's office (what a cool idea!). I don't really care where others put them because *I* want them. Hopefully this doesn't shock anyone too much after all my Nintendo talk a while back, heh. Those are wonderful. I bet my son would like them.